Leaders be cautious promoting an individual before they have proven they are ready for the new position. 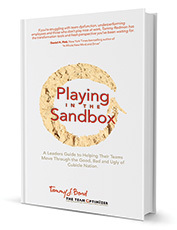 Learn what your team wants, what you (really want) and what you want to do to avoid demoralizing your team and attacking team performance. 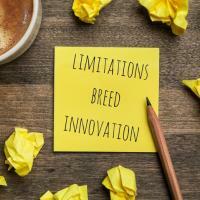 Do you and your team dwell on what you see as limitations or co-create from the place of what's possible? Too often we look at challenges as stopping points. What if we look at them as tomorrow's success? 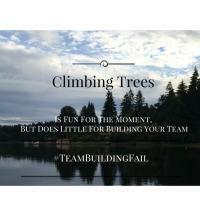 Team Building Fail - Climbing Trees is fun in the moment but does little to unite your team toward performance. Take time to dive into the problems, expose the hidden story around why we don't trust or work well together. Then, and only then can you truly start to build together. What Is Your Face Telling Your Team? 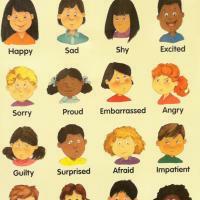 Is your face telling the wrong story to others? If you find people are reacting to you in a way that is less than positive, you may want to check your facial expressions in the mirror. They can be telling a part of the story that you never intended be told. I discovered in taking the (or being forced to take) the long hiatus from big business and team development is that - - - my story is not unlike many others I have heard of along the way. 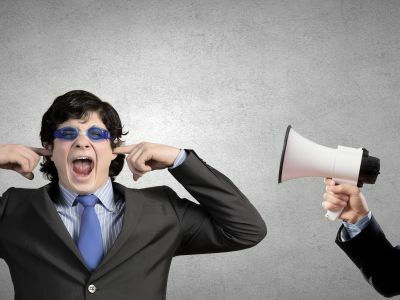 We have all sat in meetings with a manager who blows up, repeatedly, and stands on their proverbial soapbox to make their point. We have all also turned off our listening and disengaged from that same behavior pattern. Yet still, this management style is one of the most prominent and least productive. 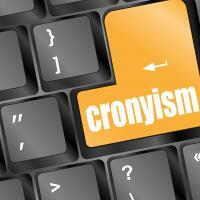 Learn the strategy to work around it if you can't change it. Did You Know People Have Expiration Dates? 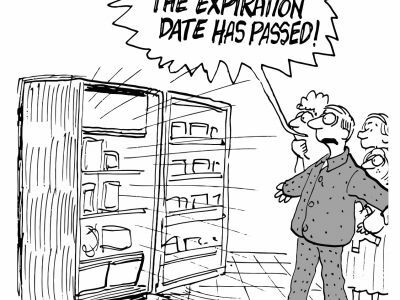 Did you know you and your employee's have expiration dates? For the workplace that is. It is important as a manager to know your own and the warning signs that show when others are approaching the end of the line. Are Your People Equipped to Make Decisions – Quickly? During a recent trip out of town, I learned something about equipping our teammates to make decisions and to make them quickly. One evening, while away from our hotel room, we returned rather late to a room that was flooding. Clearly, the person in the room above us had left the bathtub to overflow, and a lot of water had made it’s way down the walls and out of the light fixture in the ceiling. The sound was alarming to walk into, but the appearance of that much water was even more surprising. The term “Mastermind” was made popular in the business world by Napoleon Hill in his book Think and Grow Rich. If I had a nickel for every conversation I have had about removing a ‘label’ that a manager or leader gave a team member, I’d be a wealthy, wealthy woman.